I was in San Francisco this past weekend to help judge the Scharffen Berger Chocolate Adventure Contest. A day of eating sandwich cookie entries using Scharffen Berger chocolate and one of ten adventure ingredients. So much fun and so many cookies. Plus the winner is going to get twenty five thousand dollars. Hello. That’s a ton of sweet cookie dough. The winner will be announced in a few weeks. If you didn’t enter this time, I hope you will next year. Now, I knew I would be eating a bunch of cookies on Sunday during the judging, but when I travel I like to try treats from sweet shops and such in the places I visit. Do you have this affliction, too? I mean I rarely go to bakeries at home, but when I hit the road … that’s another story. And on Saturday I almost overdosed on sweets. Have you ever been to the Ferry Building in San Francisco? Oh my gosh, such a fun place and so many amazing vendors and shops. 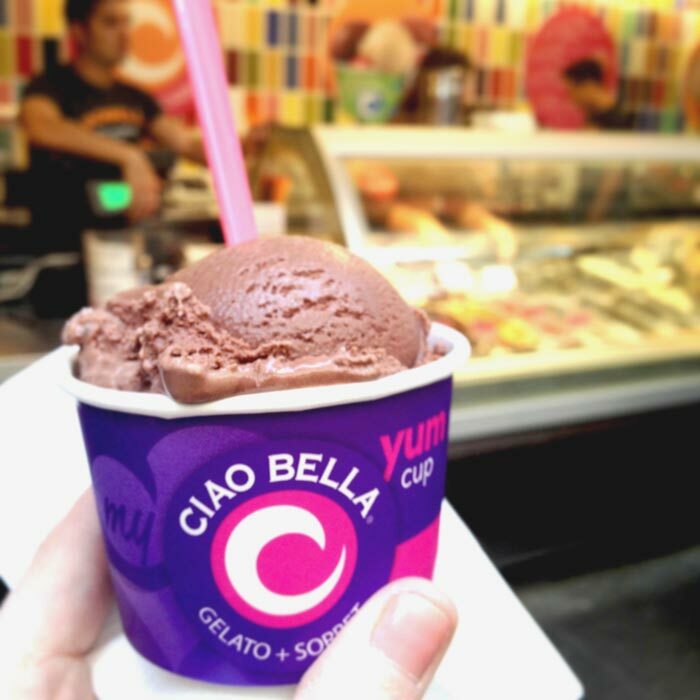 First stop was Ciao Bella Gelato. If I only ate one sweet when traveling it would definitely be ice cream. Ice cream. Ice cream. Ice cream. Or Gelato. Not sorbet though. Creamy yes. Icy no. But in the case of the Ferry Building, they have so much more than just creamy treats to taste. And once I started, I couldn’t stop. This is slightly embarassing, but we’re all friends here. Scharffen Berger had a little spot, so I grabbed a warm up for Sunday’s festivities with this dark chocolate sea salt bark. El Porteño – I. Love. Their. Empanandas. Prosciutto and fontina cheese is by far my favorite. I first had them two years ago and oh man I was so happy they were still set up in the Ferry Building. Can’t get enough of these things. Plus, they had alfajores – Argentine cookies sandwiched with dulce de leche … delish. Black Jet Baking Company. I grabbed a super yummy brownie and one of their devil dogs which reminded me of a homemade oreo on steroids. I’ll be back. Biscuit Bender. This was a fun place. And they have such a great name. I picked up a Mexican Hot Chocolate Biscuit and Breakfast Sausage for Sunday morning. Up next … Miette. Oh, how I love thee. Let me eat the ways. Your chocolate tart is amazing. … until I tried this Miette’s Mini Scharffen Berger cake on Monday. Oh My Gosh. So good and still moist after a couple of days. Look at that ganache. Often chocolate cake desserts don’t live up to how good they look, but this petite domed cake was just as incredible as it was beautiful. I’d definitely get this again. 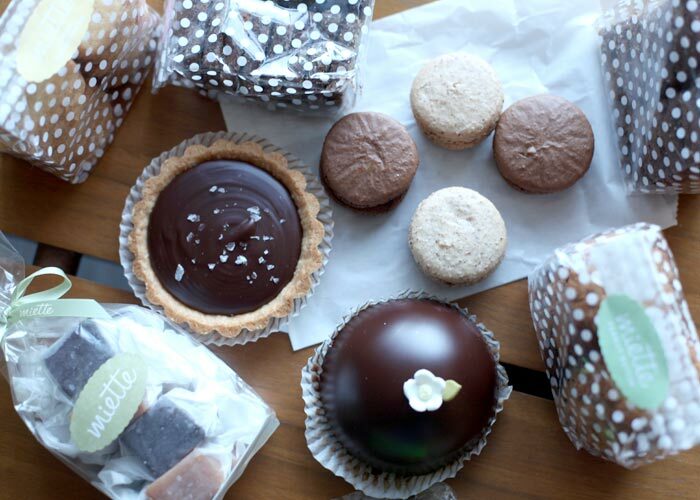 So that’s a little tour of my treats from this weekend at the Ferry Building. And here’s a few stops I haven’t shared with you yet from the last couple of times I’ve visited San Fran. 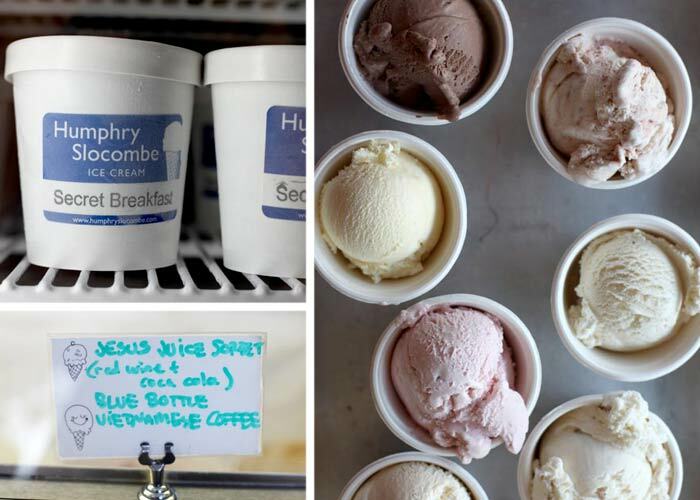 Humphry Slocombe – an ice cream stop of course. Butter Beer, Cinnamon Brittle, Secret Breakfast, Peanut Butter Curry, Cucumber Ice Milk and Sweet Summer Corn. You’ll be amused as much as you will be satisfied by their creative ice creams. 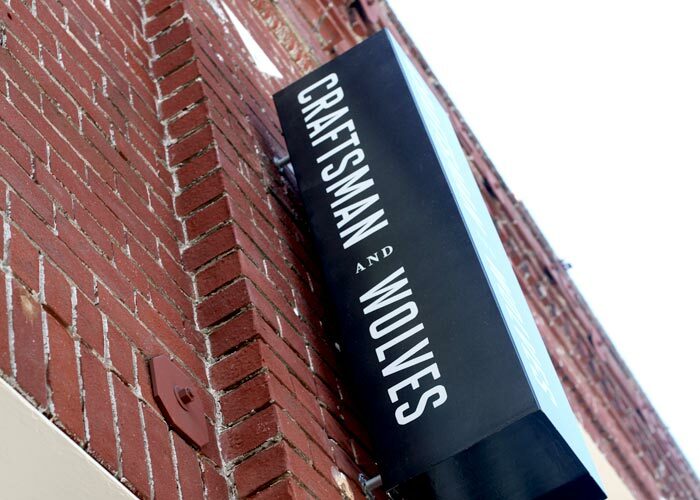 Craftsman & Wolves – This place definitely lived up to its reputation. But by the name, you’d never guess it was an amazing patisserie because it totally sounds like a steak house. But instead it’s a place you can dine on perfect pastries. 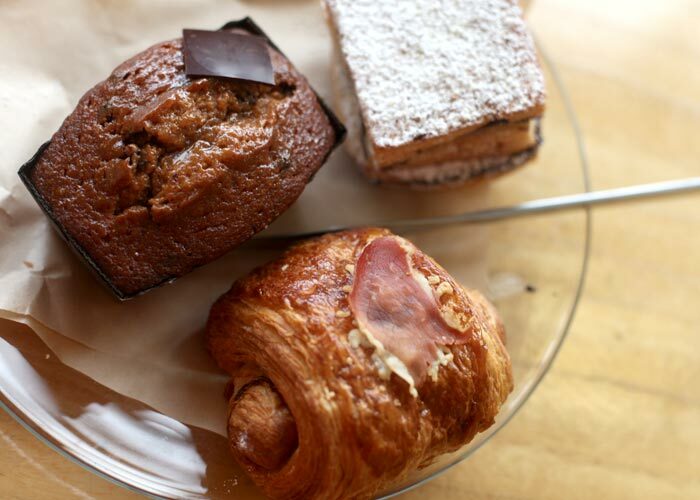 Caramel chocolate pearl travel cake, pain au cochon, and a chocolate croissant stack. Yes. Yes. Yes. Oh, Tartine. A must visit in San Francisco. So many pastries, breads, cakes and tarts to please. This mini banana cream tart was superb and was probably the best thing I had that visit. 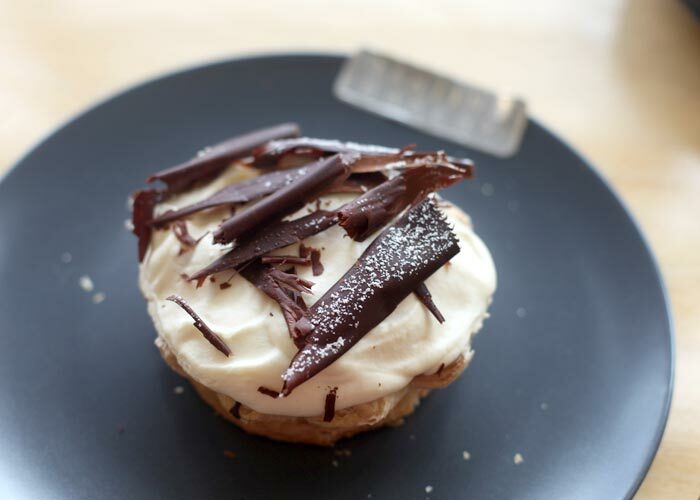 A flaky pastry coated in dark chocolate with caramel, pastry cream, and lightly sweetened cream. Try it. Mr. & Mrs. Miscellaneous. 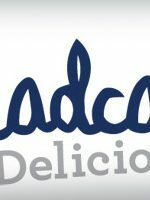 Amazing ice cream and the absolute most adorable ice cream parlor name ever ever. Try the Bourbon and caramel ice cream. whoah. 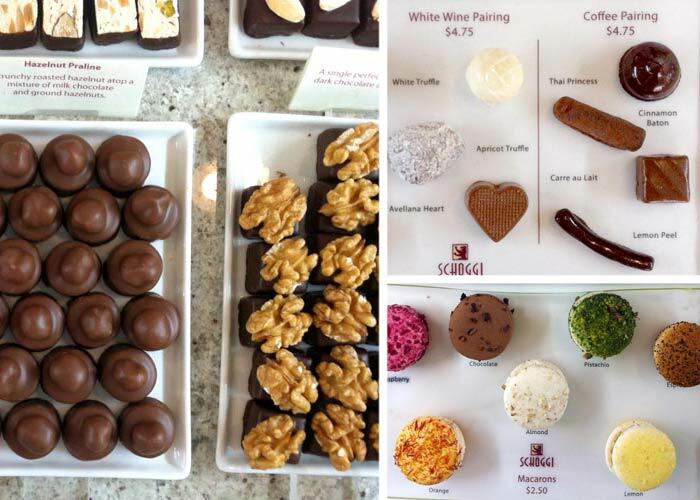 Schoggi is a beautiful shop with a stunning display of swiss chocolates. 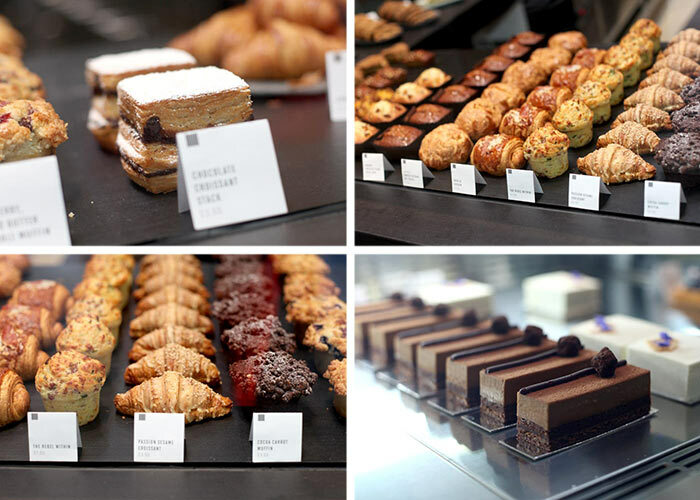 Plus they offer petite pastries and macarons, too. It was extremely difficult narrowing down my choices. They are all like pieces of art. And since we’ve been singling out San Francisco Treats, here are a few more that I’ve shared on the blog before, but I thought it would be nice to have them all in one place. 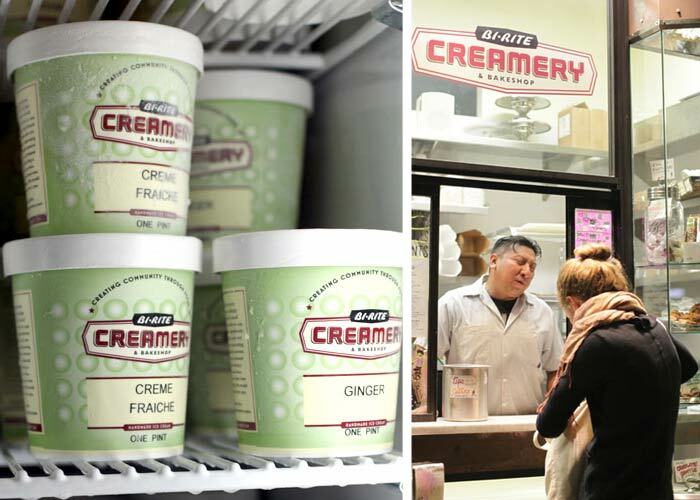 Bi-rite Creamery. Ice cream again. Go figure and go now and get the brown sugar with ginger caramel swirl. Cinnamon Snickerdoodle’s a winner too. Pacific Puffs. Classic cream puffs. Perfect topped with powdered sugar or covered in a chocolate glaze. We haven’t even mentioned cupcakes yet. American Cupcake. These cotton candy cakes are just too cute. 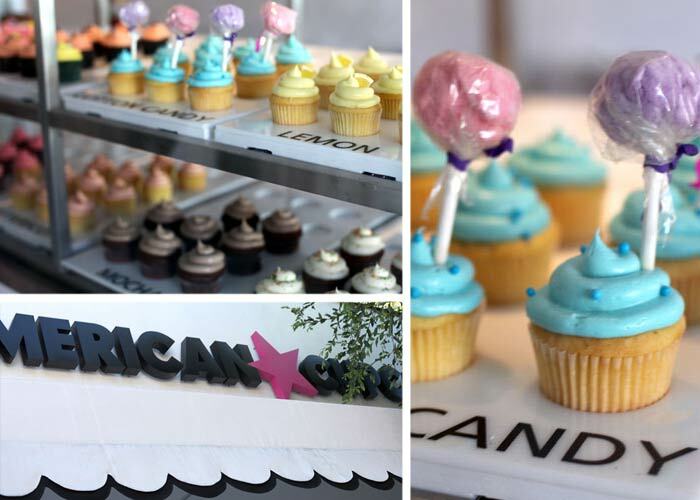 And Kara’s Cupcakes – such yummy cupcakes and with several locations you’re in luck. This one in Ghiradelli Square was gorgeous. Loved the pink menu wall. 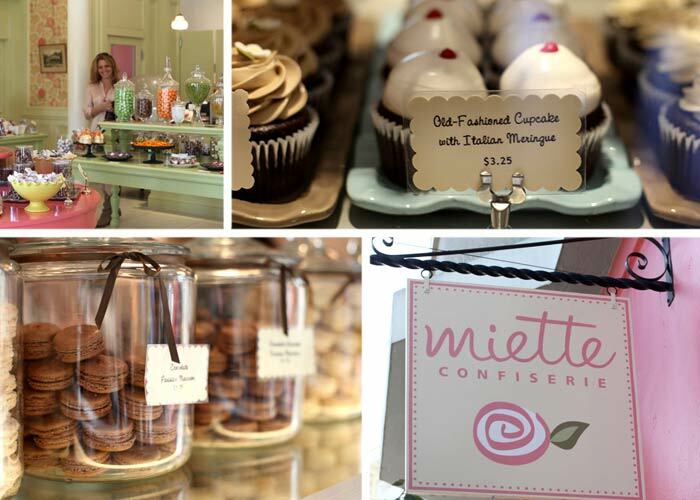 Back to Miette – They have cupcakes too … in addition to all the goodies I showed you at the beginning of this post. If you get a chance, visit the shop on Octavia Street. It is a real treat. Okay, those are all the places I’ve visited in San Francisco over the last few years .… I think. Now, where to go next time? If you live in or have visited San Francisco, what am I missing out on? What’s your dish on desserts? 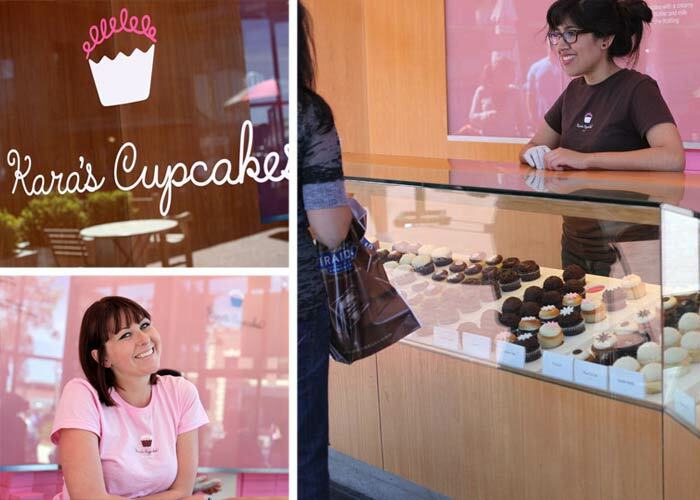 omg i live near san francisco.. i wish i could meet u, but those cupcakes look sooooo delicious!!! You should have tasted the famous sourdough from the Boudin bakery!!! It’s from SF and it’s delicious! And the cookies at any of the many Specialty’s in town. First, try their Peanut Butter & Stuff sandwich (Peanut butter and whole cranberry sauce with fresh bananas and granny smith apples on whole wheat). Then, get their semi sweet chocolate chunk (my fav chocolate chip cookie ever) and through in an oatmeal wheatgerm chocolate chip and a black and white for later, too. Thank you soooo much for all this info. I am a newly pastry cheff and ever sugar enthusiastic from Buenos Aires, Argentina. 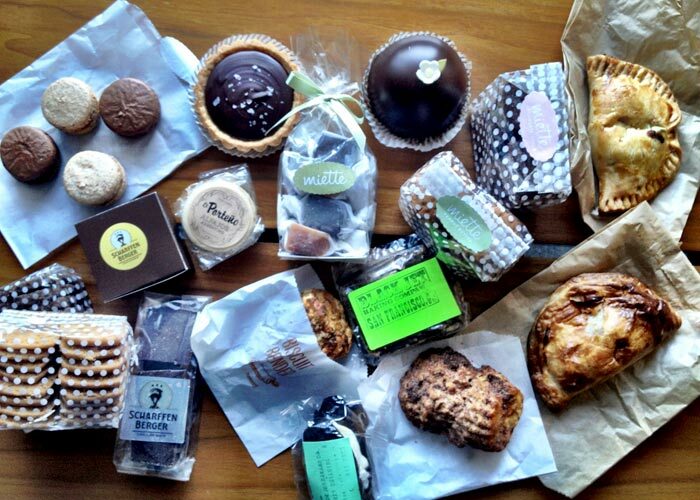 I will be travelling to San Francisco next june and can not wait to try all these amazing treats. THANK YOU!!! I want to travel with you. Thanks for all the places to try. Thanks Melissa – and don’t worry. I totally do that all the time when I don’t mean to. Holy Maloney!! Someone please call 9-1-1 for me!! I’m having a sugar high attack!! Mouth watering yummilicous!! I live in SoCal…hmmm…should I take that 9 hours drive to grab some?!? Arjan – That sounds incredible! Thanks. Oh my gosh. I live in San Francisco, and if you are a ice cream person, you MUST go to Ghirardelli Ice Cream in San Fran, right near the Kara’s in Ghirardelli Square. Its TO DIE FOR. 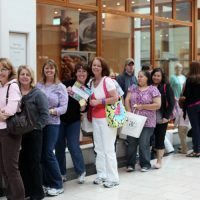 And if you a little further into the Bay, go to Sprinkles Cupcakes. 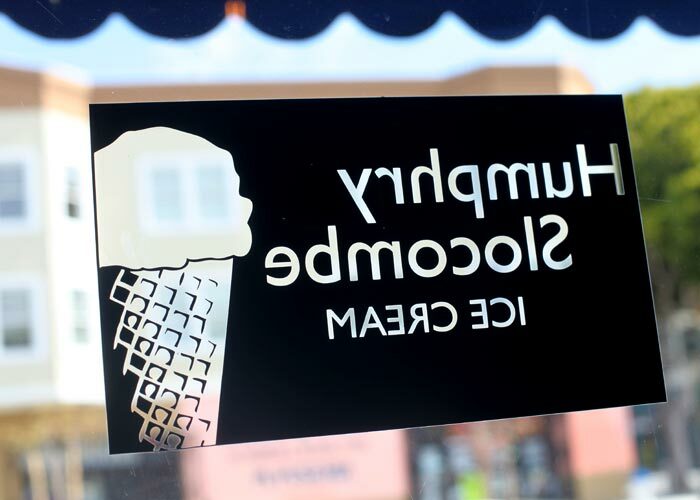 – Smitten Ice Cream, where they freeze your order with liquid nitrogen on the spot. – Ice Cream Bar, a 1930s style soda fountain with homemade ice cream, handcrafted sodas, and desserts (some with booze). This place is super fun. Bakerella! When I saw you were in SF i was thiiiiiiis close to stalking you. Seriously. Some of SF’s best sweets are food trucks! Next time you go, search through their feeds to find out if any are near you. And some are B&Ms. 2. i second beard papa. cream puffs! 5. https://www.facebook.com/FrozenKuhsterd?fref=ts frozen kuhsterd – its frozen custard paired with all kinds of sweets, from donuts to cupcakes, pies, or ethnic treats. varies daily. 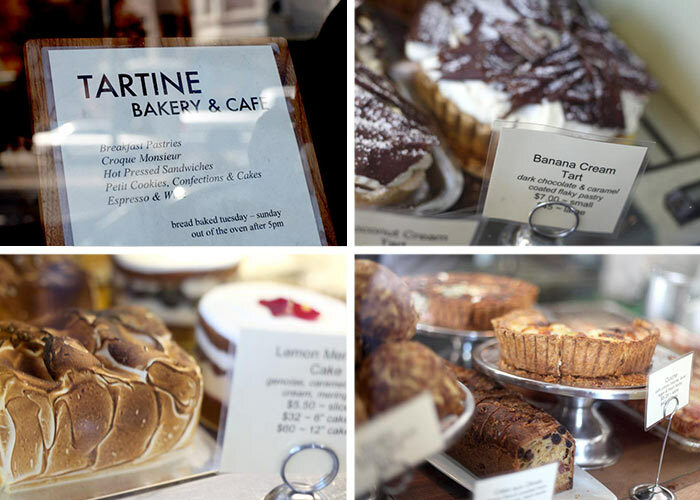 7. a new cafe and bakery just opened this month and its getting very very big buzz. its called b. patisserie. no website yet but their kouign amann wants you to be squishy forever. 2821 california street. Rhea, Donna, Anna – Thanks for the awesome suggestions. I already want to come back. My husband and I are NYCers, but he used to live in SF. Every time we visit, we drop by and eat embarassing amounts of pie. Love your sight Bakerella- have followed you for many years!! Oh, Bakerella, you’re making me so hungry! The creme brulee cart and papa beards for green tea creme puffs!!! Also Loving Cup rice pudding….. They have the most unique flavors of rice pudding that change daily!!! Oh my! I was JUST in SF a couple of weekends ago. 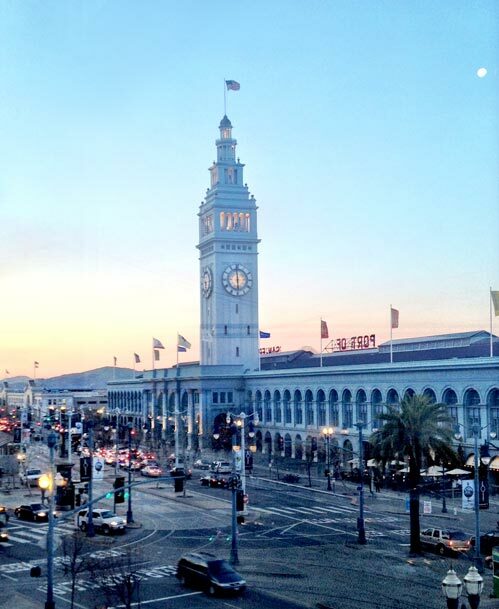 I love that city… and ooooh, the Ferry Building is always a must. Gotta love all the yummies housed there. 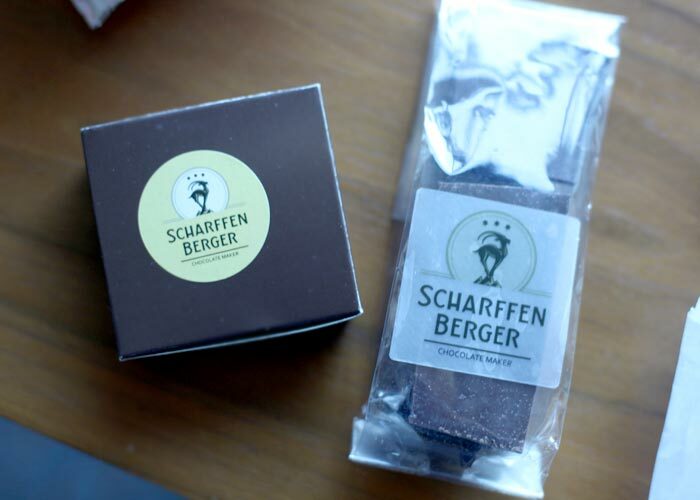 Thanks for sharing that photo of the Mini Scharffen Berger cake. That is next on my list! Oh, and I think it fantastic that you were able to conquer the bi-rite line. Lucky you! I am also loving the suggestions of fellow commentators… A creme brulee cart??? I am SO in. As always, fantastic photo set. Soooooo envious….not to mention HUNGRY! Thanks for the scrumptious SF tour! I am in a sugar coma for you. Sadly citizen cake is no more…. Kara’s fleur de sel cupcake is the best thing ever. I have bookmarked this baby because clearly we missed many delightful ways to pack on some pounds! :) We were on the fence about going back to San Fran next year and I think you just kicked me off the fence! these all look delicious!! I spent the summer near San Francisco and made many many trips to the Ferry Building. Go back for one of their farmer’s markets. I went to the one on Saturday morning and it was amazing. SOO much great food. Also you have to visit Boudin for their sourdough bread!! I’m so jealous of all of these delicious-looking treats! Oh wow, I was looking through the other comments and completely forgot about food trucks. I can’t believe I forgot about the food trucks. You MUST, I mean absolutely MUST try the food trucks. This company, Off the Grid, organizes food truck meet ups that are so fun: http://offthegridsf.com/. If you go back during the summer, go to the meet-up down at Fort Mason. It’s a slightly far trip, but there’s over 30+ food trucks and live music. It was perfect. And I always thought that Rice A Roni was ‘the San Francisco Treat’ !!!!! Everything looks delish. Wow! 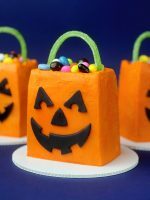 So many yummy sweet treats! Looks amazing! Oh my! This all looks so good! If I ever end up on SF i think i would head to Miette first! Their things are just so pretty! heyy–just one thing, im envying you right now and i would seriously like to be in your shoes while testing. Oh, love those sweets! And one my favorite is lemon cream tart at Tartine Bakery and Cafe. Absolutely delicious! Thanks for sharing your journey!! Well, it’s not in San Fransisco, but in Indianapolis, Indiana! The Flying Cupcake! THE BEST CUPCAKES EVER!!! You probably remember my email! If you ever come to San Diego, there is a place in Cardiff (just outside SD) called VG’s and they have delicious desserts. The donuts are to die for as well as the chocolate cream pie. No cupcakes, but I’m able to overlook that for a donut or three:-) Plus, in Encinitas, there is a great ice cream place called Subzero. It just opened and its right next to my house. You choose your flavor and mix-in and they freeze it right there for you! 1. 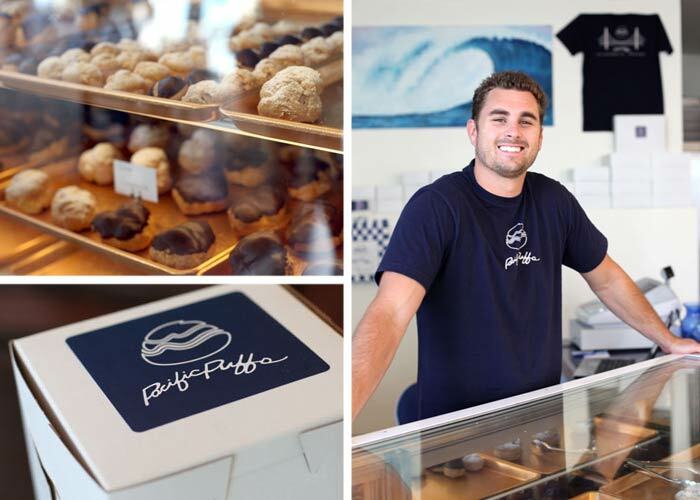 Recchiuti at the Ferry Plaza – I like everything; the Smores Bites are fun and love their Fleur de Sel Caramels. I also like their Asphalt Jungle Mix. And can’t wait to try Recchiuti’s Chocolate Lab and Charles Chocolates new store which is about to open. I don’t know San Francisco but I just took my hubby and 5yr old on a small treats tour of Winston-Salem. We only hit a few shops but we had a great time- definitely something out of the ordinary. Many of these places have been my Must-Visit list since BEFORE I moved to the Bay Area a year and a half ago and I still haven’t crossed them off! But I LOVE Miette and Kara’s & am scheduling Tartine and Bi-Rite in right now! If you love ice cream, you’d also love Smitten Ice Cream… it’s an adorable liquid nitrogen ice cream place – INCREDIBLE! OMG! I’m so tempted to hop in the car and drive to SF, but that would be quite the drive for some admittedly awesome looking baked treats seeing as how I’m in Phoenix. I don’t suppose you’ve made the rounds of Phoenix bakeries have you? Good grief! Just want to say thank you for posting this. I must go to the Ferry Building when we head to SF this summer! That Miette mini choc cake looks sooo moist and amazing. Ice cream is my favorite thing also but all the other chocolate and pastries look irresistibe! It’s a feast for the eyes – it’ *almost* good enough just looking at it! My all time favorite dessert in SF is the egg tart at Golden Gate Bakery. They usually have a really long line, but they are baking fresh egg tarts all day which are still warm when you buy them. Try the almond croissants at La Boulange. It is by far the best croissant I’ve ever had! I’ve also heard that Foreign Cinema and Gary Danko are reallyyy good too. If you have the chance, I would recommend spending a day in the Mission District (the new SF food hub) and trying everything there!! AHhhhhh all this talk of sweets is making me so excited for you! Thanks for all the sweet ideas. Still can’t stop thinking about that creme brulee cart. Holiday Baker Man – I know. Boo. But I did get to hang out with Elizabeth Falkner. She was one of the Scharffen Berger judges with me. Now she makes pizza in Brooklyn. Joyce – Chocolate Lab? I’m there! 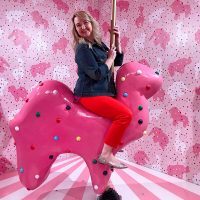 I loved ‘touring’ the sweet side of SF via your blog! What an interesting post. It combines to of my favorite things, travel and sweets. :) My husband and I are going in 2 weeks for a relaxing trip. I plan to use this blog entry as a refence point. Thanks again and please add more cities if you get time. Oh … and Jiann – Thank you too. Off the Grid sounds like a must. I have a notebook of all the food places I want to visit that I’ve seen on Food Network, Cooking Channel, etc. I also do extensive research before my husband and I travel, so I can hit as many bakeries, patisseries, food trucks, restaurants, etc. We were in San Fran a year and a half ago and we hit up the Off the Grid food trucks for lunch AND dinner one day. If you have the chance, find the Cupkates truck – by far the best cupcakes I have ever had and I’ve eaten a LOT of cupcakes. 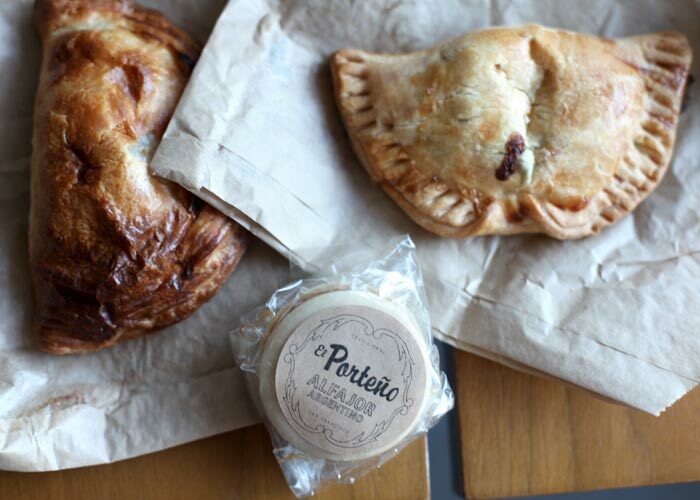 We’ve had those empanadas at the Ferry Building – YUM!! You should also try the porchetta and potatoes at Roli Roti – AMAZEBALLS!! Love your blog and the photos and thanks for reminding me of wonderful San Fran! i used to live in san francisco and in my opinion all-star donuts on chestnut street is a MUST. ahhh! totally forgot about specialty’s until i saw someone else’s comment with that. you HAVE to try specialty’s cookies. Really? You were soooo close to Oregon! You should definitely come a little bit further North and stop at Voodoo Donuts! The original bakery is in Portland, but they recently added one where I live in Eugene. It’s a must! We also have a great little place called Sweet Life. It’s mostly organic and vegan, but it’s yummy all the same. :) Come to Oregon before I have to leave when my fiance finishes school! I’m just here to +1 the suggestions for Dynamo Donuts, Ice Cream Bar (they have old fashioned soda jerks and everything! ), and Specialty’s! Also, Cups and Cakes Bakery and LittleJohn’s Candies on Market! If you can, go to Sweet Adelines in Berkeley, I have yet to try something there that wasn’t amazing. 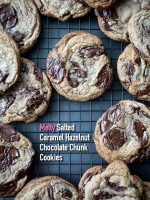 The buckle and the chocolate pave are to die for and they have their own recipe book. You HAVE to check out Dynamo Donuts! Beautifully paired flavors and a few you would not expect. I’m drooling just looking at those awesome pictures. Thank you for that treat. Yay! Hope you’ll be by for a visit soon! All the bagged cookies and caramels were “for friends” :). It’s been over 20 years since we went to San Fran! This really makes me want to go back and check out everything! Love your awesome pictures! I’ve only been to San Francisco once and didn’t really visit any bakeries or anything, but man is this making me want to go back and do, like, some kind of dessert tour or something. I live in New York and I wish I lived in SF it seemed sooooo much cooler than here. 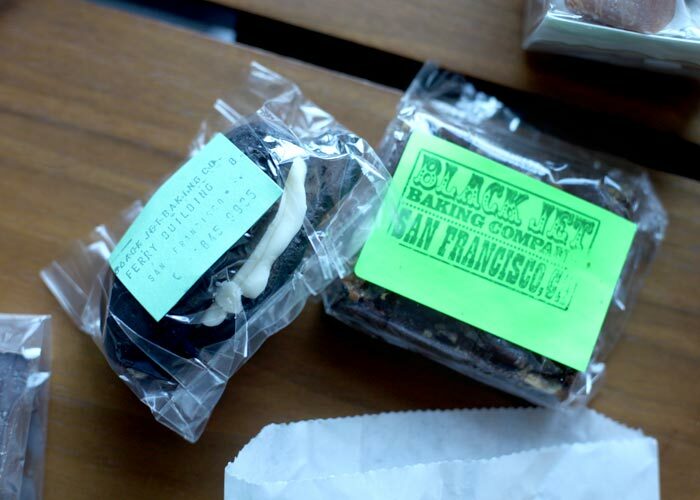 I have never been to San Francisco before, but I find myself wanting to jump on the next plain just to try these delicious goodies! 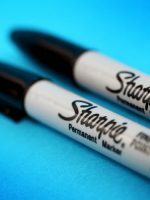 I am so book marking this post and all the wonderful ideas from everyone. That was a fabulous taste of San Fran. 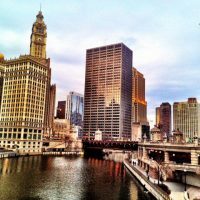 I have not been there yet, but this post certainly makes me want to hop on a plane right now! The Ferry Building is by far my favorite place in San Francisco! But also check out Three Twins ice cream in SF! Mmm, lemon cookie, chocolate, vanilla, cookies and cream… now I want some. I hope my recipe made the cut and you liked it! The Scharffenberger folks are amazing. Love their chocolate tour they take bloggers on in the fall. I live in Santa Clara near SF. 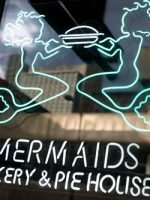 I can’t wait to go to the city again to try these delicious places! Thank you so much for this article and all your beautiful photos. Dandelion Chocolate on Valencia Street! Tartine! Most awesome croissants ever! Oh and their bread is good too. The pastry chef trained in France and makes everything the old school way. Every time my Brother-in-law comes to visit, he is required to bring us a dozen of their almond, butter and chocolate croissants. I miss when you actually posted some new, creative cake-pop or cupcake design. Yet, sadly, you just re-blog old post or post about your vacations. Alfajores? Oh how I love them! A bakery from Mendoza Argentina always has a booth at the Diesyocho celebration in Parque Hurtado Santiago, Chile. They are the best I have ever tasted. Next time you are there you need to try Mitchell’s Ice cream, they are sooo good. My brother and sister-in-law make sure we go there every time we visit. It is a good thing I don’t live there. I would be a sphere. I have enough of a sweet tooth that I would make you look like a paragon of moderation. I don’t have any suggestions there, but if you go to Quincy, MA, Babycakes has a French Toast cupcake that is like a crispy and soft bread pudding in cupcake form. Oh my. My brother is moving to San Fran for 3 years for dental school…now I have even MORE reason to go visit him! Too funny- I was at the Ferry Building on Saturday. Wish I’d spotted you! Swensen’s Ice Cream- an oldie and goodie and way better than the chain with the same name. Get the orange chocolate. Mm. Susie Cakes- the BEST cupcakes around! You were really close if you went to Pacific Puffs, but you must head back to the hood and try these out. Super moist cake and amazing buttercream. OK this is a test for all you SF dessert foodies. Does anybody know of a bakery that can replicate the famous Blum’s Coffee Crunch Cake? We are in Mill Valley so not too far away from SF. There is this great little doughnut shop on Pier 39 in San Francisco that fries their tiny tiny doughnuts in the front and coats them in a cinnamon sugar glaze. SO GOOD!!! 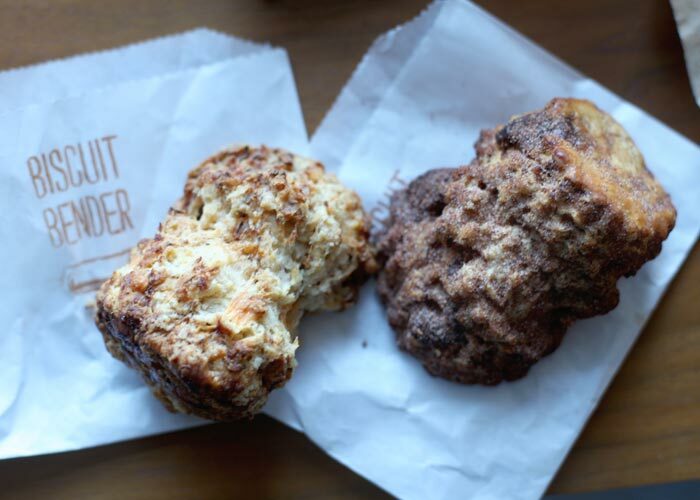 Next time you’re in SF check out B Patisserie and be sure to get a Kouign amann. Egg tarts at Golden Gate Bakery – you don’t need to know the exact address, you’ll see the line out front. Best eaten when warm. Zanze’s Cheesecakes. Most fluffy cheesecake ever. The shop is a bit out of the way, but 466 Yelp reviews with 4.5 stars can’t be wrong. And he gives you fishing line to cut the cheesecake too. Yasukochi’s Sweet Stop in Japantown for the coffee crunch cake. Another SF institution. The coffee crunch topping is just so addictive. Wow! What a delicious and decadent trip! I am ready to board a plane to SF right now just to retrace your steps. Thanks for sharing! Oh!!! 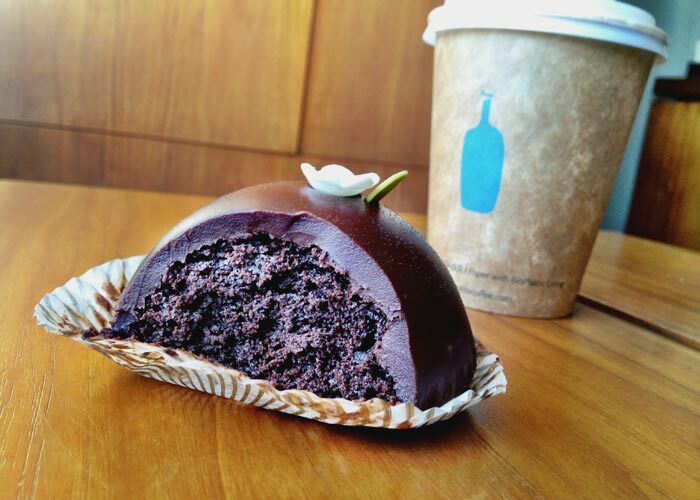 You have to go to Noe Valley Bakery for the Milky Way Bombe! You will die – they have individual sizes, but now I have to upgrade to the large size cause all my co-workers want some when I bring it back to the office! Thanks Elaine – I checked out Yasukochi’s Sweet Stop on the web and I’d better call first as word has it these cakes sell out fast! I live in SF and went to Mr & Mrs. Miscellaneous AND Craftsman and wolves last weekend as well! Too bad we didn’t see each other! 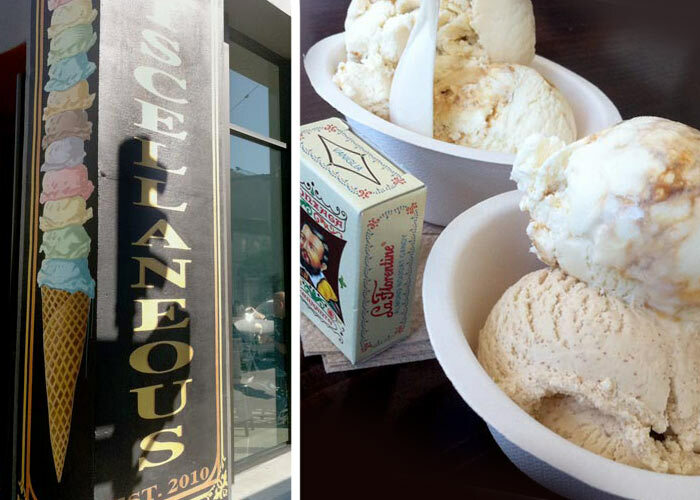 You definitely hit all the great spots, Humphrey Slocombe is special too. A WONDERFUL macaron shop is Chantal Guillon (http://www.yelp.com/biz/chantal-guillon-macarons-san-francisco). Another place I think you would appreciate is Omnivore Books (http://www.yelp.com/biz/omnivore-books-san-francisco) which has all types of cookbooks, memoirs, and books about food! Everything looks fabulous!! I have the Miette cookbook, and I admit to being a bit intimidated by the recipes — so many pans/bowls/accoutrements. But boy-oh-boy, I made the tomboy cake for my birthday, and NEVER have I had a better chocolate cake that held up to a sweet frosting before. 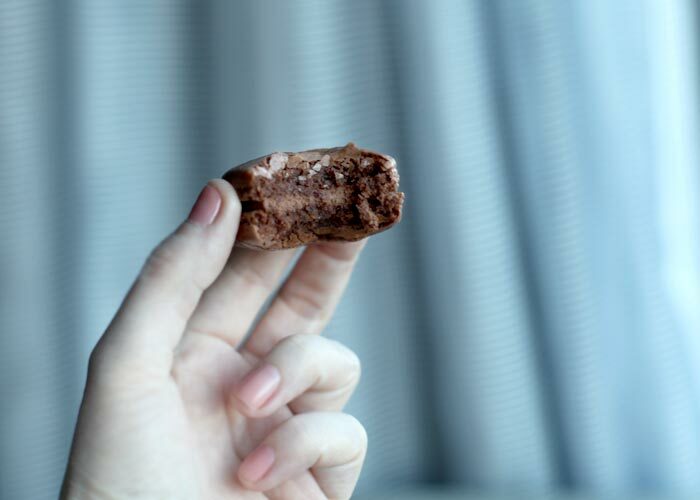 Dense, moist, delicious chocolate flavor. Yummy!! OMG this post and all the comments are amazing! I will be living in the bay area this summer, so expect I’ll be visiting SF a lot and I will definitely try to visit most of these places. I think I might have suggested this to you before, but it’s worth repeating just in case – SF gets so much hype.. but do yourself the favor and cross the Bay Bride and check out some of the East Bay treats! It’s a whole other world you’re missing out on! Lush Gelato is my absolute favorite. 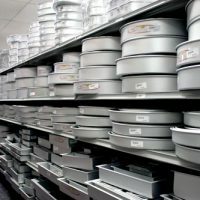 They have two locations – Oakland (original location) and Berkeley (larger, newer location.) The flavor rotation changes all the time, but they’re always delicious. Salted Stracciatella is one of my favorites – vanilla gelato with salted chocolate chunks. ..And when I say chocolate chunks I mean this: They pour melted chocolate over the tray of gelato, and then break it into pieces before serving. I’ve had half-dollar sized ‘chunks’ of chocolate in my gelato. SO GOOD. Another favorite is their fromage blanc cookie dough gelato. Not always available, but always amazing. I always take home a pint when they have it. There’s also some good donut shops in Oakland, including one that offers cream filled donuts (filled-to-order) called Doughnut Dolly. And a little cupcake shop with tasty flavors, James and the Giant Cupcake. You just went everywhere I’ve wanted to go haha. Especially Tartine! That alfajor looks so good, I remember always taking boxes home whenever we went to Chile or Argentina, don’t know of anywhere that sells them around San Diego I might just have to make some.